Lanark Community Development Trust is a charitable, non-profit body which carries out projects for the common good. 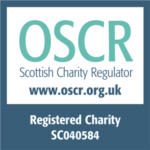 It is an independent, volunteer-led organisation which is part of a growing network of Development Trusts which exist across Scotland and the UK. Here in Lanark, we aspire to develop and deliver priority community projects which have a social, environmental and economic impact. We do not and will not deliver on the responsibilities of statutory authorities, but rather seek to add value to existing activity. We want to deliver projects and initiatives which are genuine local priorities – and so we’re keen to engage with, partner and build relationships with any individual or group which shares our ideals. Please get in touch! We are happy to discuss our current projects, and the formation of our Trust, through group learning visits funded by the Community Learning Exchange Programme.